So, you want to learn some guitar fingerpicking ideas, tips and tricks? Well, Introduction to Fingerstyle Guitar eBook is for you! 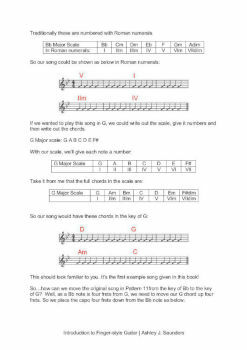 This eBook will teach you patterns that you can use today, how to use a capo if the song is in a key that isn't guitar friendly and how to find the best key to move it into for you. As well as much more! Being able to play Fingerstyle guitar is a lot of fun and is a really useful skill to master. And while it does take some time to get used to making your hands work independent of each other, it's a good challenge for every guitarist. 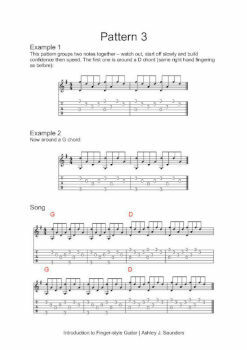 If you have never tried Fingerstyle before then Introduction to Fingerstyle Guitar eBook will teach you the basics. If you've been playing for a while but are stuck for ideas, then we'll explore some cool picking patterns. Whatever your level, you will learn patterns you can use today. All of which sounds great in every key. I'll show you how to use a capo, which is a useful skill to have when a song is not in guitar-friendly key. I'll also talk you through how to find the best key to move the song too in order so that it becomes easy to play on guitar. 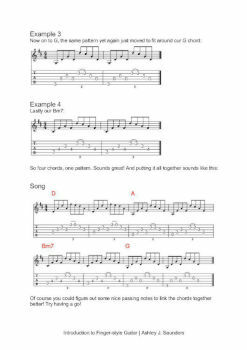 While most of the eBook focuses on patterns around open chords, we will also explore linear patterns. By moving up and down the guitar's fretboard, we immediately have more options in some keys. 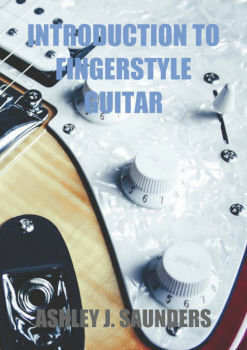 This eBook is aimed at those want to learn to play like James Taylor, Ben Howard and other Fingerstyle guitaring greats!